A demonstrator holds a scarf during a march to demand for the resignation of Honduran President Juan Orlando Hernandez in Tegu...tion of Hernandez over a $200 million corruption scandal at the Honduran Institute of Social Security (Jorge Cabrera/Reuters). Once a year, policymakers and the press are forcibly reminded of the terrible costs of corruption. This year, it fell on January 27, when Transparency International’s Corruption Perceptions Index (CPI) was released, inciting the ritual gnashing of teeth and beating of chests about relative national corruption gains and losses. This is precisely the sort of attention that Transparency International hopes to draw to corruption. In this sense, the report is very much a continued success. But the CPI’s utility as a policy tool is less clear-cut, not least because there are so many reasons a country might rise or fall, including revelations of previously hidden corruption or simply the movement of other countries, which then push their peers up or down in relative terms. Transparency International routinely acknowledges these issues, and actively encourages readers not to use the measure as a longitudinal indicator. But this advice usually falls on the deaf ears of headline-seeking editors. The CPI remains a blunt tool, which doesn’t provide us much guidance on how and why public perceptions of corruption are changing, or broader lessons about what works in the fight for accountability. Nonetheless, there are a few important takeaways from the report that are especially relevant to Latin America. First, grand political corruption is ubiquitous and no country is immune. Shannon O’Neil pointed last year to the potentially significant political implications of the wave of corruption scandals that have beset Latin America over the past two years. These scandals have erupted at all levels of the CPI: in countries among the highest ranked (Chile, ranked 23rd of 167 positions), at the middle of the pack (Brazil and Mexico, 76th and 95th), and near the bottom (Honduras and Guatemala, 112th and 123rd). Second, if there is one policy recommendation that emerges from recent Latin American experience, it is that increasing checks and balances, granting true autonomy to watchdog agencies, and building budgetary and human resource capacities, all contribute to better control of corruption. Conversely, countries such as Venezuela in which these checks and balances have been eroded for political reasons suffer unintended consequences, including worsening corruption outcomes. Robust democracy, in other words, has some collateral accountability benefits. In the short term, improving capacity may lead to gains in corruption perceptions. 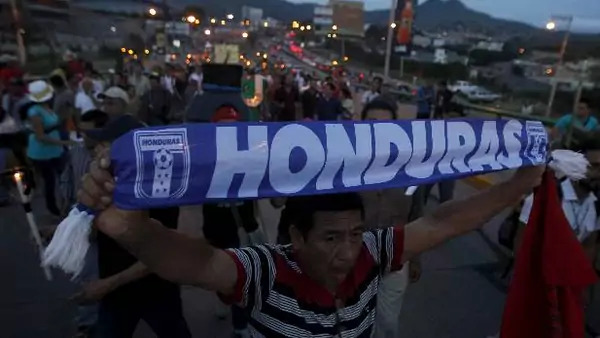 One of the most improved countries in the CPI is Honduras, which rose fourteen spots, in part because of massive public protests last year that led a scandal-weakened government to acquiesce to the creation of an independent international panel of judges and prosecutors to investigate corruption: the Organization of American States (OAS)-sponsored Support Mission Against Corruption and Impunity (MACCIH), modelled on Guatemala’s UN-backed International Commission Against Impunity (CICIG). Despite its shortcomings, including fears that MACCIH may merely serve as a smokescreen to protect the president against removal, it is hoped that MACCIH will be strong enough to provide investigatory credibility in an institutional environment marked by a politically-dominated judiciary. Yet even in countries that are moving in the right direction and developing the autonomous capacity of their institutions, the perverse consequence may be the uncovering of major corruption, and a tumble in the CPI, as InsightCrime noted. Guatemala, where last year’s corruption scandal culminated in the forced resignation of President Otto Pérez Molina, declined eight spots. Brazil, where prosecutors have filed more than 1,000 charges, recovered more than a half-billion dollars, and convicted eighty for corruption associated with state-owned Petrobras, has fallen by seven spots. Let me close by floating two suspicions about the extent to which corruption will be relevant to Latin American politics in coming years. First, declining economic fortunes are likely to be accompanied by increasing revelations of corruption that was underway during the boom times. Bad economic times mean turnover in governments, closer scrutiny of past incumbents’ accounts, and an energetic scramble for tax revenue, including through tighter oversight. Able politicians may seek to deflect attention from current economic woes by pointing a finger of blame at corrupt predecessors who wasted the bonanza of the commodity boom. If the first suspicion is correct, the second follows: impunity is likely to be one of the next big political shibboleths in the region. Latin American countries have historically been a paradise for corruption; as Steve Morris noted with regard to Mexico, impunity has long been corruption’s evil twin. Impunity makes corruption much less risky and much more lucrative. A recent estimate suggests that only 3 percent of Argentina’s corruption cases since 1980 have led to convictions, and judges took on average fourteen years to reach final sentences in these cases. Of course, these dismal results are only the tip of the iceberg, since they refer only to those cases that actually saw the light of day. And it seems unlikely that Argentina is an outlier with regard to judicial ineffectiveness, although data on corruption prosecutions and trials is weak around the region. All of this suggests that for all its faults, the CPI release will continue to be closely watched throughout Latin America in years to come.